There are sanctuaries of Hermes Kriophoros and of Hermes called Promachos [“champion”]. 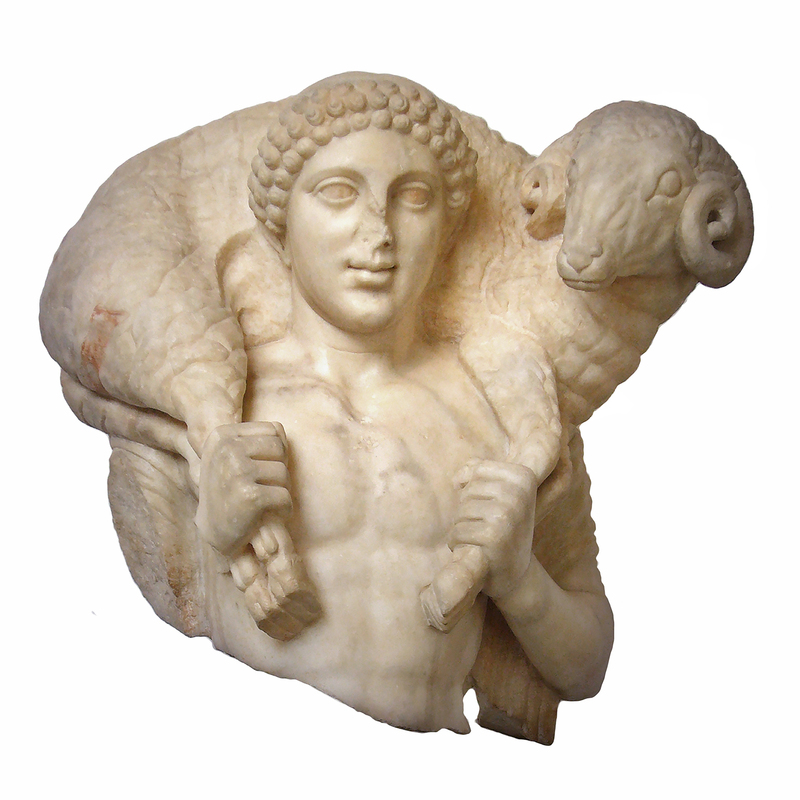 They account for the former surname by a story that Hermes averted a pestilence from the city by carrying a ram round the walls; to commemorate this, Calamis made an image of Hermes carrying a ram upon his shoulders. Whichever of the youths is judged to be the most handsome goes round the walls at the feast of Hermes, carrying a lamb on his shoulders. This entry was posted in Uncategorized and tagged 5th Century BC, Animals, Art, Greece, Mammals, Mythology, Rome, Sculpture, Sheep. Bookmark the permalink.